Patients belonging to the economically weaker sections (EWS) are being provided free treatment at identified private hospitals. The Government of National Capital Territory (GNCT) of Delhi has informed that in 2013-14, 34,725 indoor and 1,05,086 outdoor patients belonging to the EWS were provided free treatment at identified private hospitals and in first half of 2014-15, 17,374 indoor and 4,91,523 outdoor patients belonging to EWS have been provided free treatment in identified private hospitals, NCT of Delhi. So far as three Central Government Hospitals in Delhi viz. Safdarjung Hospital, Dr. RML Hospital and Lady Hardinge Medical College and associated Hospitals are concerned, patients of EWS category are referred to designated private hospitals in Delhi as and when required. The Government of NCT of Delhi has informed that during this year, the Directorate of Health Services has received 53 complaints regarding denial of free treatment by the identified private hospitals and 63 miscellaneous complaints and they have been duly addressed. MoolchandKhairati Ram Hospital, St. Stephen’s Hospital, SitaramBhartia Institute of Science & Research and Rockland Hospital have been exempted from providing free treatment by the Division Bench of Hon’ble High Court of Delhi vide judgement dated 28.04.2014 in WPC No. 1478/2012 and other connected matters. Further, Rajiv Gandhi Cancer Institute & Research Centre and Dr. B.L. Kapur Memorial Hospital are claiming to be similarly situated to the aforementioned four hospitals and also not providing free treatment. In the three Central Government Hospitals sign boards are placed at strategic points in the hospital informing the general public about the provision of referral of EWS category patients to the designated private hospitals for free treatment. Also all the head of the departments and doctors working in emergency department are sensitized on this issue and have been advised to refer the patients of EWS category to the designated private hospitals as and when required with prior consultation with the authorities of that particular hospital.  Monthly/quarterly reports have been sent to the land allotting agencies regarding free treatment achievement of the identified private hospitals and take appropriate action against the defaulter hospitals.  Constituted a Monitoring Committee to monitor the provisions for treatment in the identified private hospitals to economically weaker sections.  Created a webpage for monitoring free treatment to EWS category in identified private hospitals.  Appointed Government Nodal Officers for verifying the status of patients admitted by the identified hospitals.  Help desk/Special Referral Centers have been established.  Patients Welfare Officers were appointed in Government hospitals for facilitating referral of EWS patients.  Facility of online booking of free bed has been started w.e.f. 07.06.2014.  Encouraging public participation through workshop, Portal and advertisement in print and electronic media.  Letter was issued to Delhi Development Authority (DDA) for cancelling the lease deed of Shanti Mukund Hospital. Letters were also issued to DDA and to Delhi Urban Shelter Improvement Board to cancel the lease deed of 18 societies and 01 society respectively, which have neither constructed nor are running functional hospitals on the allotted land. The Health Minister, Shri J P Nadda stated this in a written reply in the RajyaSabha here today. For Pharmacopoeial standardization of Ayurvedic drugs, two organizations, namely, Pharmacopoeia Commission for Indian Medicine and Homeopathy (PCIM&H) an autonomous body and Pharmacopoeial Laboratory for Indian Medicine (PLIM) have been established by the Government of India. There are two Voluntary Certification Schemes for Ayurveda products. 2) Certificate of Pharmaceutical Products (CoPP) for Ayurveda product issued by Drug Controller General of India (DCGI) for the purpose of export. b. AYUSH Premium Mark for the Ayurveda products complying with International norms. 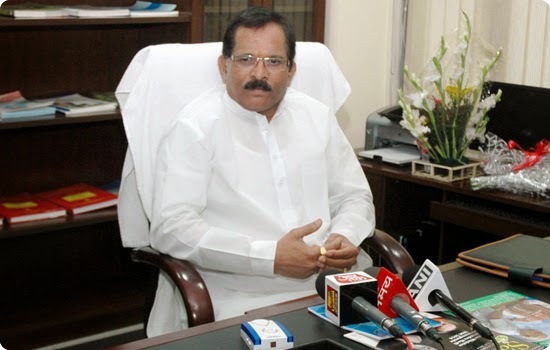 The Minister of State (IC), Ministry of AYUSH, Shri Shripad Yesso Naik stated this in a written reply in the Rajya Sabha here today. The objective of JnaniSurakshaYojana(JSY)scheme is to reduce maternal and neonatal mortality by promoting institutional delivery among pregnant women. • The Neo-Natal Mortality Rate (NMR) has declined from 37 per 1000 live births in 2006 to 29 per 1000 live births in 2012. There is no proposal under consideration to review the scheme. Ministry of Health and Family Welfare (MoHFW) has launched a “National Health Portal”(http://nhp.gov.in) on 14.11.2014 to provide healthcare information to the citizens of the country. This portal will serve as a single point of access for consolidated and authentic information and resources on the health sector to a wide spectrum of users such as academicians, citizens, students, healthcare professionals and researchers. Presently, the NHP is disseminating information in Hindi, Gujarati, Bangla, Tamil and English. There are 81 Ayurveda, Unani, Sidha and Homeopathy CGHS dispensaries which are located in Delhi/NCR and 17 CGHS covered cities outside Delhi/NCR area. Details of Ayurveda, Unani, Sidha and Homeopathy CGHS dispensaries in Delhi/NCR area.